SINGAPORE, 1 March 2016 (ASTROSCALE PR) – Singapore-based satellite services company, ASTROSCALE, has secured up to USD 30 million in funding from venture capital investor, Innovation Network Corporation of Japan (INCJ) as well as USD 5 million from recurring investors JAFCO Co. Ltd. and other third party investors. The capital injection will be used to secure the development and testing of innovative space propulsion systems, a powerful adhesive-based spacecrafts’ docking system as well as key technologies used for space debris removal and spacecrafts’ End-of-Life Operations. These systems are essential to perform cutting-edge spacecrafts’ proximity operations, docking, de-orbiting services and controlled atmospheric reentry. ASTROSCALE will carry out an in-orbit demonstration of active debris removal (ADR) in the 1st half of 2018, called ADRAS. Successful demonstration of these capabilities will allow the company to provide sustainable and scalable business solutions such as spacecrafts’ end-of-life services for global satellite operators in the near future. 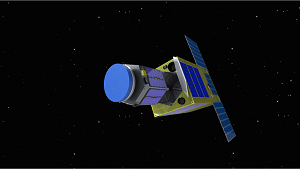 ADRAS, a 80kg microsatellite carrying a 20 kg catcher satellite that is currently in the development phase, will be used to capture mid-to-large orbital debris and decommissioned spacecrafts. The demonstration mission, which is planned for 2017, will present the company’s capability to conduct a non-cooperative approach, debris capture and burn up during atmospheric reentry from one of the most congested area in Low Earth Orbit (LEO). Future versions of ADRAS will provide scalable and cost-effective On-Orbit Servicing (OOS) solutions for Geostationary Earth Orbit (GEO), responding to the growing need expressed by the satellite market. IDEA, a 20 kg microsatellite will collect key information characterizing small-size debris from 100μ m or larger in LEO’s most congested areas. The objective is to contribute to the global effort of cataloguing small-size orbital debris and to improve future manned and un-manned space missions’ safety. Since 2009, the global satellite industry has seen a compound annual growth rate (CAGR) of 4.75% from USD 161 billion to USD 203 billion in 2014. More satellites have been launched into space in 2015 than ever before. Such a sharp growth can be explained through the launching of cost-effective small satellites, as well as the ambitious development of new Low Earth Orbit (LEO) mega-constellations, by companies who plan to launch satellites in the hundreds. With this news, the population of space debris is expected to grow significantly, in the coming years, making the establishment of debris management solutions essential for the long-term use of the space environment. There are currently more than 23,000 trackable space debris orbiting Earth, number that will increase due to the expected collisions of spacecrafts, accidental breakup events and other junks created from current missions operations. ASTROSCALE introduces the business concept of spacecrafts’ End-of-Life services for all objects that will be or have already been launched into space. Such services will enable spacecrafts’ operators to consider space friendly systems for reliable satellites and rocket-upper stages passivation and deorbiting, before the actual launch. ASTROSCALE hopes to establish itself as a leading provider of scalable space-to-space solutions allowing spacecrafts’ operators to use the space environment in a responsible way and by mitigating the risk of creation new debris. The company will be continue pursuing its long term objective to safely remove large space debris that are posing a threat to current satellite missions in congested low earth orbit. Founded in 2013, ASTROSCALE is a Singapore-based satellite services company that develops innovative and scalable solutions contributing to the sustainable and responsible use of the space environment. A team of Space Sweepers comprising of researchers, engineers and physicists from various universities and companies was established to share essential knowledge and expertise to support ASTROSCALE’s mission developing economically viable space debris mitigation and remediation solutions. In order to improve spaceflight safety, the team is currently engineering a first mission called IDEA OSG, which will enable the accurate monitoring and positioning of space debris that are too small to be tracked from the ground. In parallel, the company moves forward with its first debris removal in-orbit demonstration, which mission will be to qualify in-house technologies dedicated for future spacecrafts’ End-of-Life services. With its headquarters in Singapore and manufacturing facility in Tokyo, the company hopes to become a leading provider of scalable space-to-space solutions allowing spacecrafts’ operators to use the space environment in a responsible way and by mitigating the risk of creation new debris. Launched in July 2009, INCJ is a unique public-private partnership aimed at promoting innovation and enhancing the value of business in Japan. Established for a period of 15 years, INCJ aims to promote the creation of next generation businesses through “open innovation”, drawing in funding, management as well as technological expertise from the public and private sectors. INCJ has the capacity to invest up to ￥2 trillion (approx. US$20 billion). JAFCO Co. Ltd., is Japan’s leading venture capital and private equity firm. Out of their portfolio, 982 companies have successfully completed IPO’s since their inception in 1973. They have offices in Japan, Singapore, China, Taiwan, Korea and the USA. JAFCO is listed on the Tokyo Stock Exchange. Sounds as though Jon Goff’s Altius might be a subcontractor on this project. If you chance across this comment, Jon, please let us all know – assuming no NDA would be violated that is. Glad to see some real money finally getting behind such a project. I know it will deorbit eventually, I just think it’s funny. This will ultimately be what happens. Everything will get cleared out of LEO when it is finally abandoned for true space exploration and communications satellites are consolidated in a few manned stations that are easy to service in geostationary orbit. I would like to point to Centripetal Propulsion here for you to take a look at http://www.shwaycoms.com/cg-s4/1.0.0-pt—magnetic-disjunction/1.0.60-PT—Magnetic-Disjunction.pdf it was recently presented in innovations competition in London at Space Innovation Congress a few days ago where it is undergoing evaluation consideration for development. It was nice meeting with the Astroscale team in London and best wishes regards.